A lot of things have gone wrong this season for the Philadelphia Eagles, but the play of Alex Henery has not been one of them. The kicker's 43-yarder to close the first half Sunday night against the Dallas Cowboys not only extended the team's lead to 17-10, but also extended his franchise record for consecutive field goals made. Henery's last miss was came Week 1 against the Cleveland Browns. 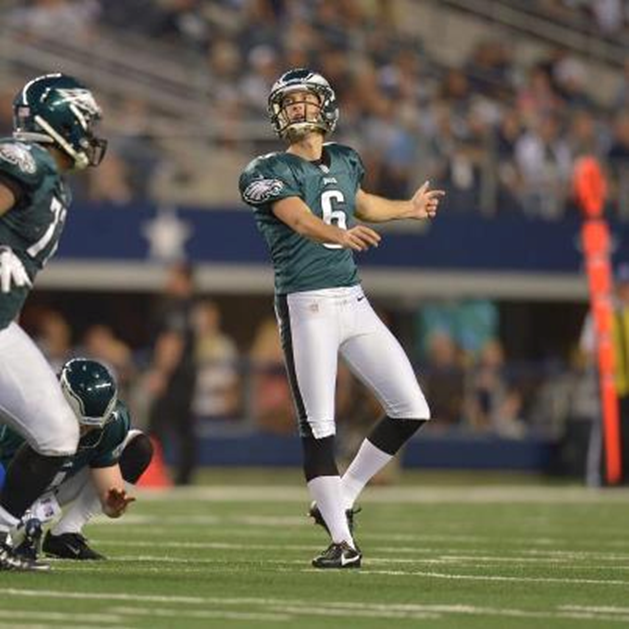 Since then, he's made 20 straight field goals, the most ever by an Eagles kicker. He's 21-for-22 on the year with a long of 49 and has hit 37-of-38. He has missed an extra point, but other than that, he's been nearly flawless. This isn't altogether surprising: Henery set a college record for accuracy at Nebraska, hitting 89.5 percent of his kicks for the Cornhuskers earning him a fourth-round pick in 2011 - high for a kicker. He's been worth it, setting a rookie record for accuracy by hitting 24 of his 27 kicks, and his two seasons in the league have been the most accurate by an Eagles kicker ever.